Is It a Matter of Integrity? Browse: Home / Is It a Matter of Integrity? It hurts, it really hurts. When you become a victim of slander how would you react? Is it really important on what people say about you? Is it worth staying up all night or loose your appetite? Do you really have to fight back and set the record straight? People saw how you live your life and how you conduct yourself in public and in private. Isn’t that loud enough? Is your integrity base on what people heard or is it based on what they see? People who don’t know you don’t care anyway. People who knows you really knew about you. Is fear of rejection the real issue? “Don’t get mad, get even” so they say. I have decided to leave it to God, and move on with my life. It’s not easy but I just refuse to live a life mourning on the opinion of other people. 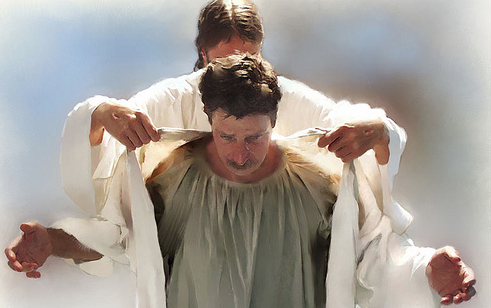 I am cloth with the righteousness of Christ.